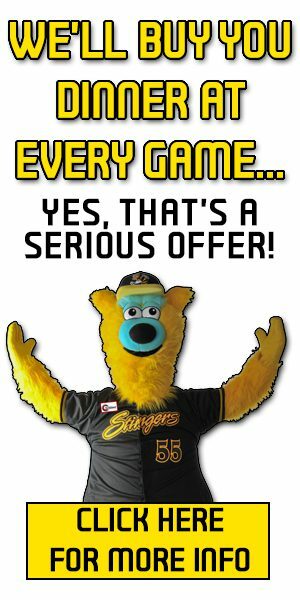 The Stingers, and Christianson PLLP, are thrilled to announce the addition of the Christianson Home Plate Club to Bill Taunton Stadium! The Christianson Home Plate Club replaced the first two rows of the lower level grandstand with 10 premium tables. Each table includes four swivel stadium chairs, an all-inclusive food and beverage package throughout the game with wait staff and a reserved parking spot. The Christianson Home Plate Club will provide THE best viewing and fan experience in the entire ballpark and will become the ideal destination for entertaining clients and rewarding employees and their families. Fans will be able to reserve an exclusive table for four as a half-season membership (17 games) or a full season membership (34) games. 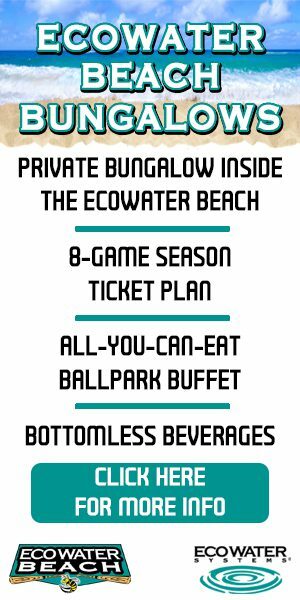 Each membership comes with the best seat in the stadium and wait staff delivering unlimited food and beverages throughout the entire game. 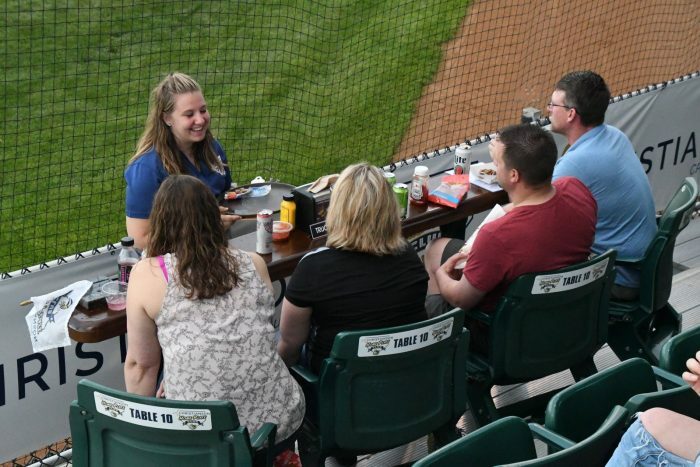 If you would like more information on the Christianson Home Plate Club, including pricing and availability, please contact the Willmar Stingers front office at 320-222-2010. SOLVING PROBLEMS FOR RURAL BUSINESSES AND FARMERS. Growing up on a Minnesota farm, John Christianson understood the challenges that his neighbors faced. Using his talents for accounting and business, he set out to help others successfully grow their businesses and protect their assets. Whether working with a small, local company, an ethanol production startup, or a large corporation, Christianson, PLLP brings you the quality and expertise you depend on. Over the years, new challenges and opportunities for the rural and agricultural industry came to light and Christianson, PLLP has risen to the challenge, developing new skills and expertise to meet your needs. Accuracy, confidentiality, and fast response are all built in to our culture. New business development and new industries keep us on the cutting edge while rural, small town values keep us rooted in our tradition of service.